The recent media clamour criticising Tourism New Zealand’s new campaign threw up some intriguing responses from a seemingly random selection of “marketing experts” who had been canvassed for their views, but who completely missed the real problem with the new approach. 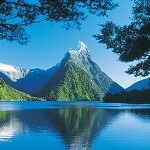 With New Zealand already ranking as third strongest “country brand” for tourism last year, you would think that Tourism New Zealand might think twice about giving up on their successful twelve year old promotional style that focuses on New Zealand’s natural attributes such as landscapes, flora and fauna. 100% Pure New Zealand has evolved into 100% Pure You. I’m not sure if that is a reflection on our increasingly tenuous environmental credentials or the fact that the next generation of global travellers are more self-absorbed. Perhaps both. The new campaign is obviously a response to the Aussie battle cry “where the bloody hell are you?”. All of the actors in the video clips are youthful, white, middle class, which not only belies the multicultural nature of Australian society to which it is targeted, but also politely ignores the fact that the fastest growing inbound tourist sources are in fact other places like China and India. The new campaign strengthens the message that New Zealand is all about hedonism and short term gratification – a message that resonates with young backpackers. Unfortunately backpackers have the lowest per diem spend of any segment in the market. Shouldn’t we be focussing on attracting more of the upper end of the market? Don’t get me wrong. I’ve backpacked all over the world myself and it was character building and great fun at the time. I’m not for one minute suggesting we limit access on the basis of disposable income. I’m simply suggesting we revisit where our tax dollars might best be spent for greatest return. Tourism is a huge part of the New Zealand economy, but it has a considerable environmental footprint and creates little ongoing value. It’s all about extracting short term gains from renting as many seats as possible. Jobs in the tourism service sector are generally amongst the least well paid. Perhaps we need fewer “freedom campers” pooping on our roadsides and more doctors and their families from Bangalore enjoying our sparsely populated geographic beauty. Dare I suggest it, but maybe we could also get them thinking about investing in New Zealand, whilst we have their undivided attention. This entry was posted in Economy, Investment, Opinion, Society, Sustainability and tagged economy, New Zealand, tourism by Paul Spence. Bookmark the permalink. Tourism New Zealand’s campaign may be poorly targeted, but at least it’s clean and wholesome. Air New Zealand’s Rico campaign is a huge embarrassment. Lewd innuendo and sexist commentary are not what we expect from our flag carrying national airline. Rico’s not funny and apparently Air New Zealand staff agree.